If you want to connect with the Atlanta startup community, start by meeting Burunda Prince. This powerhouse leader is the Managing Director of The Farm, a Boomtown startup accelerator backed by Comcast NBCUniversal. 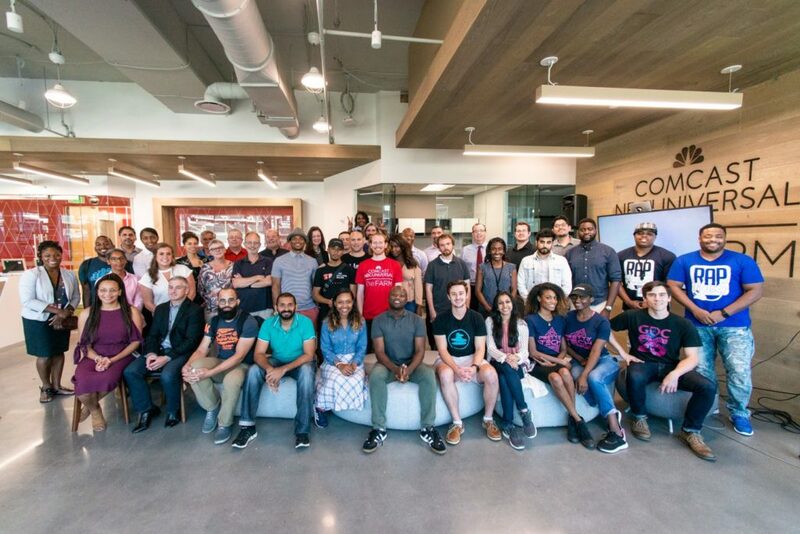 With Burunda at the helm, The Farm has grown into a hub for collaboration in Atlanta’s startup ecosystem, and a diverse innovation leader in the global tech accelerator community. 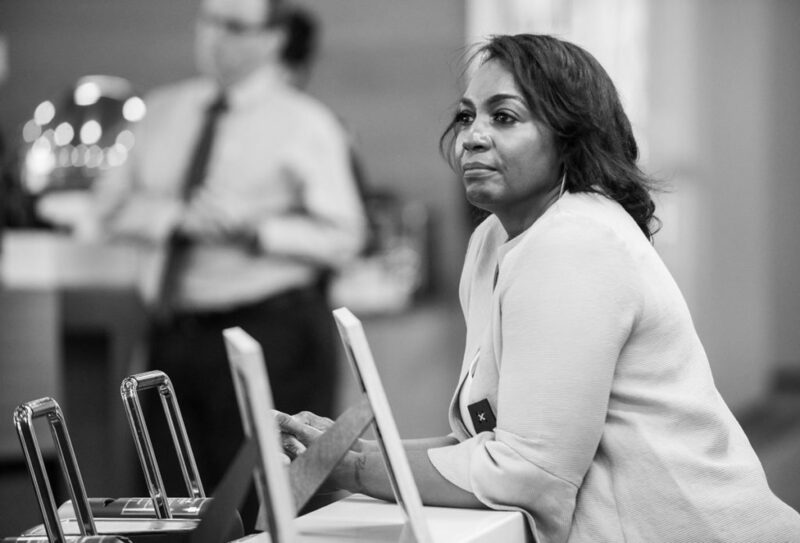 With extensive experience across education, non-profit and corporate consulting (she held management positions with the likes of Bain & Company and Procter & Gamble), Burunda has helped countless companies and communities scale through strategic collaboration. It’s that collaborative approach that recently earned her recognition as the 2018 Community Influencer by the Atlanta Startup Awards. She joins us at the DIG SOUTH Tech Summit in Charleston, April 24 – 26 to share expert insights during our Business Growth Talk. Her panel, “The Future of Corporate-Startup-Government Partnerships” will outline tactics on building sustainable entrepreneurial ecosystems through collaboration. In our Q&A below, get a closer look at her work with The Farm, the “must-have” elements to foster a thriving entrepreneurial ecosystem, and how Southern cities can work together to drive innovation across our region. What does a day-in-the-life look like for you at The Farm? Each day looks different depending on whether the accelerator is in session or hosting political dignitaries or offering free space for a local tech event. The common denominator, however, is always the support of startup founders and the promotion of technological innovation. I have the great privilege of supporting some of the most courageous people I know, startup founders, and working alongside some of the most dedicated, my team, mentors and colleagues. Every day is different yet it’s always inspiring, fun and focused on making the world better through technology. And doing so in an ecosystem as collaborative and supportive of Atlanta makes the work interesting, fun and rewarding. What makes The Farm unique from other entrepreneurial programs around the country? The most obvious difference is the partnership with Comcast NBCUniversal. It’s rare for an accelerator to be able to count a $100B corporation as a partner. Boomtown does. That certainly brings immediate brand awareness, access to world-class resources, and the potential for companies interested in media, connectivity and entertainment. That world-class partnership also means the resources to house and the talent to support co-working, incubation, and hardware lab in addition to a three month accelerator program. That scope and size are usually only typical of programs affiliated with academic institutions. The last point of differentiation is related. Because we are Boomtown, we put the founder first. That means every decision is focused on how it supports, impacts, informs, or enables the startup founder. Because we believe we can teach founders how to be successful versus the VC-based unicorn model, we focus on early-stage startups that are coachable. The combination of The Farm’s proprietary curriculum, experienced mentors and expansive network means we can build mustangs that become wildly successful. 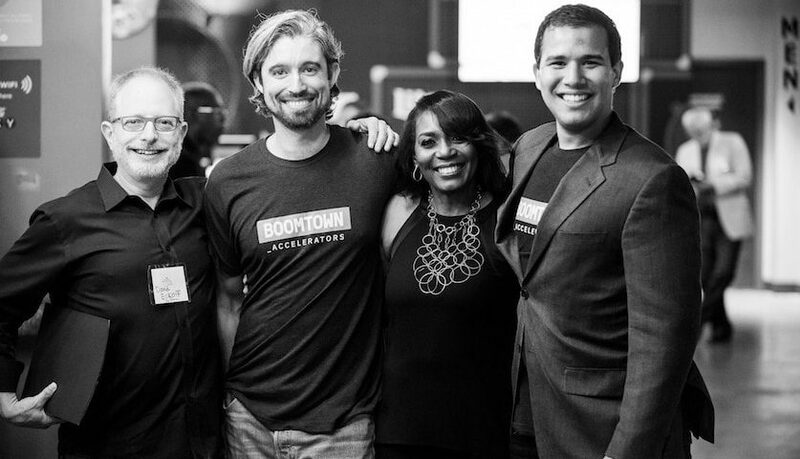 Tell us more about your accelerator — how does the program work? What types of startups participate? 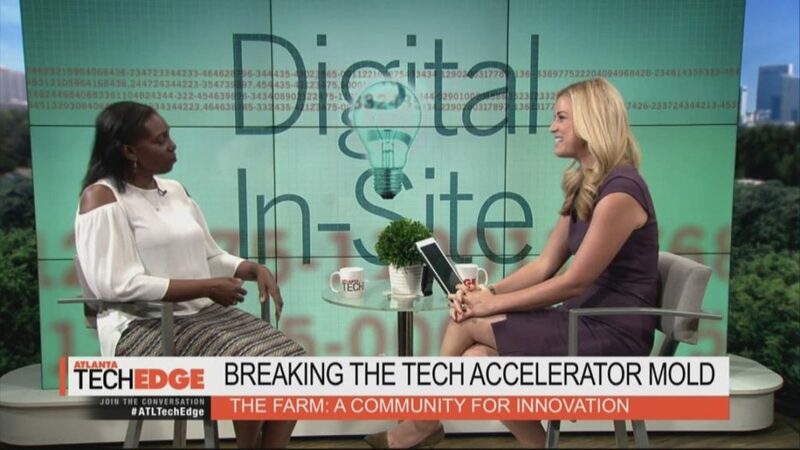 The Farm offers accelerator programs for very early-stage, often pre-MVP, pre-revenue, pre-seed companies. We find that supporting startups early enables us to teach entrepreneurs how to be successful by developing and executing good business practices on a data-driven business model. We are technology and industry agnostic, so our startups range from HR to legislative engagement to music collaboration. And companies of course employ a variety of technologies, including SaaS based, AR, VR, blockchain and drone. For 12 weeks, we teach founders using our proprietary curriculum to test, experiment, validate and scale. While we invest in our companies, ours is not a VC model based primarily on investment. Nor is ours a mentor-driven model even though we certainly connect companies with experienced subject matter experts and serial entrepreneurs. We believe in using mentors to coach and that customer acquisition is the best form of growth. Because our companies are so early, we focus on the startup founder team in terms of coachability, compatibility and depth of industry knowledge. The Farm has support from several corporate and city partners. Why is this type of collaboration critical in driving innovation? As our partner is Comcast NBCUniversal, we clearly value the advantages afforded by corporate partnerships. Comcast was once a startup themselves so they appreciate the founder journey. And yet, as a multi-billion dollar media company, they have talent, technology and financial resources normally unavailable to startups or even accelerator programs. 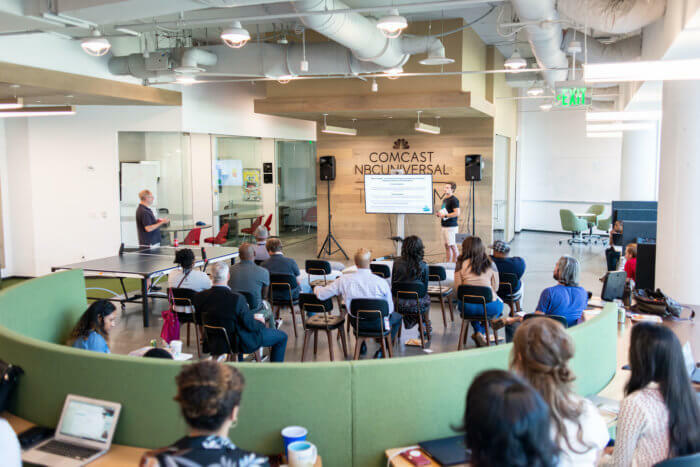 The Comcast NBCUniversal/Boomtown partnership is recognition of what we each do well and offer those combined strengths in support of startup founders and driving innovation, externally and internally. Corporations excel in incremental innovation and growth. Startups and accelerators excel in disruptive innovation. Both are needed for long term, sustained and profitable growth. What are some “must-have” elements for a thriving entrepreneurial ecosystem? The most successful entrepreneurial ecosystems have several elements — a strong talent pool from local colleges and universities, good corporate engagement, civic and community support, and some areas of key industry and technology strengths. Boston was made from the biotech, Silicon Valley for dot com high tech, and then there are smaller ecosystems like Boulder and Austin which are generally known for being creative, out of the box disruptors embracing the adventure of individuality. Atlanta is making a name for itself in payment processing, healthcare, music and film, among others. You have a background in both corporate management and entrepreneurship. What are 1-2 key lessons you learned in the corporate world that have proved helpful in your current role? The power of collaboration and a compelling story have been threads that are interwoven through all of my experiences whether corporate, entrepreneurial, civic, or consulting. My experience has shown that outcomes are greater in magnitude and impact when everyone is involved, informed and rowing in the same direction. And having a compelling story that resonates and inspires, helps to refocus and reframe its importance during the journey. 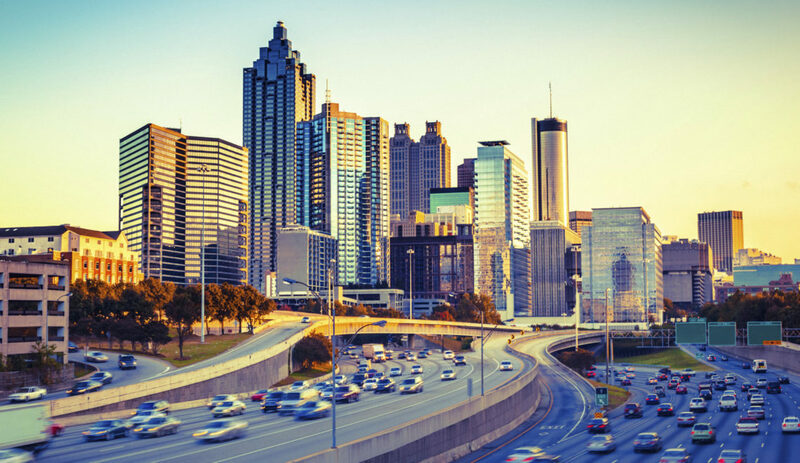 What makes Atlanta a great place to start and grow a business? 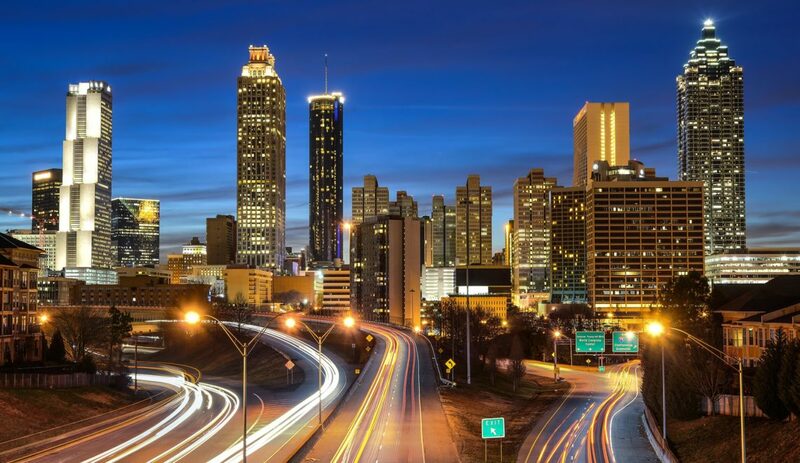 The Atlanta ecosystem is thriving because it has more Fortune 500 corporate headquarters than any other city; it has world class academics from Georgia Tech, Emory, Spelman, Georgia State, Kennesaw State and others; it is a business-friendly city where civic leaders strive to make it easy to do business. Add to that the rich diversity of thought and people and the low cost of living, and you have a thriving entrepreneurial ecosystem with the potential for greatness. Founders with limited runway can make it go farther given the lower cost of living. At the same time, they have a city ready to help through 35+ accelerator/incubator programs with ready investors, a broad customer base for pilots and traction and ample mentor coaches to offer experienced advice and insight. How can entrepreneurial hubs around the Southeast best work together to advance our region? The Southeast already has all the ingredients to become a powerhouse. To leverage and realize that potential, we need to understand what each does best. My objective as the Managing Director of The Farm is to ensure startup founders benefit from the best support. That means that I need to not only know which companies The Farm can add value to but which companies others may be in a better position to support because they are too far along or don’t necessarily embrace our “challenge and prove” philosophy. With every company that I encounter, whether they are a fit for The Farm or not, I endeavor to leave them better prepared than before we connected. Sometimes that means referring them to another accelerator or incubator. Secondly, and I can’t emphasize the importance of this one enough, we have to embrace ALL startup founders. It’s appalling that less than 3% of venture capital funding goes to women and that it’s about the same when it comes to people of color representing venture capital firms. Don’t miss your chance to meet Burunda Prince during this year’s DIG SOUTH Tech Summit, April 24 – 26 in Charleston, SC. She joins us for an engaging panel discussion “The Future of Corporate-Startup-Government Partnerships: How to Build Sustainable Entrepreneurial Ecosystems via Collaboration.” Purchase your badge to reserve a spot! Could Atlanta be the New Hollywood? According to TERMINUS Festival, the Answer is Yes.